I’ve known for months that I wanted to send my friend something personal for her birthday, and then life got in the way…so she’ll be receiving a package of these cards, stamped using Tuscan Vineyard, LONG after her special day. Beth sells her own brand of wine, and I’m hoping she’ll be able to use them in her business. At the very least, she’ll know I’m thinking about her, and I hope she knows I love her! 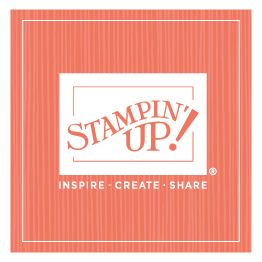 It’s been a great year at Stampin’ Up! A highlight at our last company update meeting was Scott singing the financial update to “Chestnuts Roasting on an Open Fire,” accompanied by our very own band. I think we’ve started a new tradition! The last time we saw the twins on Christmas was when they were babies, so to spend Christmas with Shanna and her family was a relaxing and special time…and warmer than Utah! Shanna fixed a delicious Christmas dinner, we ate out at three Mexican restaurants, went to Winterfest, read books, crafted, and played games, dolls, laser tag, and Mario Kart. There’s nothing better than spending time with family during the holidays! Our traditional Christmas party in Kanab was a family gathering much like the many others, only this year there were several new babies added to the mix. Out of the 100+ members in our family (my parents and siblings and their families), 75 were able to join together to celebrate the birth of Christ and the love of family. Even though our gift is the same every year (cash…so the kids can choose what they want or need), I hope our grandkids like this year’s bright and personalized packaging! Our girls and their spouses know what they’re getting from us for Christmas, but at least the packaging is always a surprise. The gift bag is made using the bag punch board with added handles, and I love the wreath around the Reindeer’s neck! For me, it’s all about the packaging! This first idea is our Christmas gift for the corporate team and the board of directors, which will be given at our holiday lunch this week. Inside is a movie theatre gift card—an easy gift…and hopefully enjoyable for them and their significant other! Phoebe’s birthday packaging is bright and simple—perfect for anyone’s special day. Phoebe is definitely a bright spot in my life, and thankfully, I’m lucky enough to see her nearly every day! Thanks, Terri, for including us in your special celebration in such a meaningful way! After not being together for over 2 ½ years, we welcomed a couple of days in Orlando as a family, and then we went on a fun, four-night Disney cruise. We opened the outside balcony doors between our cabins, so we could visit with the families that opened their drapes (a code everyone understood), there were plenty of activities around the ship for everyone, and the weather was perfect! Even though there will probably always be someone missing (this year Sidney, Cameron, and Owen weren’t with us), we’ve decided that two years is too long in between family reunions! OnStage in Orlando (I’ve included photos from local events from around the world too) was a special event for me! Here are the samples I shared on the incentive trip we took with demonstrators to Alaska in July. With the holidays right around the corner, hopefully something here will inspire you to create some holiday cheer! As I was carefully packing up my samples for OnStage this week (I’m so excited to be in Orlando with many of you! ), I realized that I never shared my samples from April’s OnStage (product from Stampin’ Up!’s current annual catalog)…as well as the samples from the cruise (grrr! ), so here are April’s samples, and I’ll post samples from the cruise in a couple of days. Halloween is one of my favorite holidays at Stampin’ Up! I love getting together and cheering for the teams and individuals who dress up…so creative! And although I don’t have any photos of them, seeing children in costume walk through the building with their parents, collecting treats from everyone’s desks, brings a special spirit into the building. It was a happy Halloween! We hope Mary’s trip was all she hoped for and more! It was a brilliant trip to Canada and the best birthday weekend!